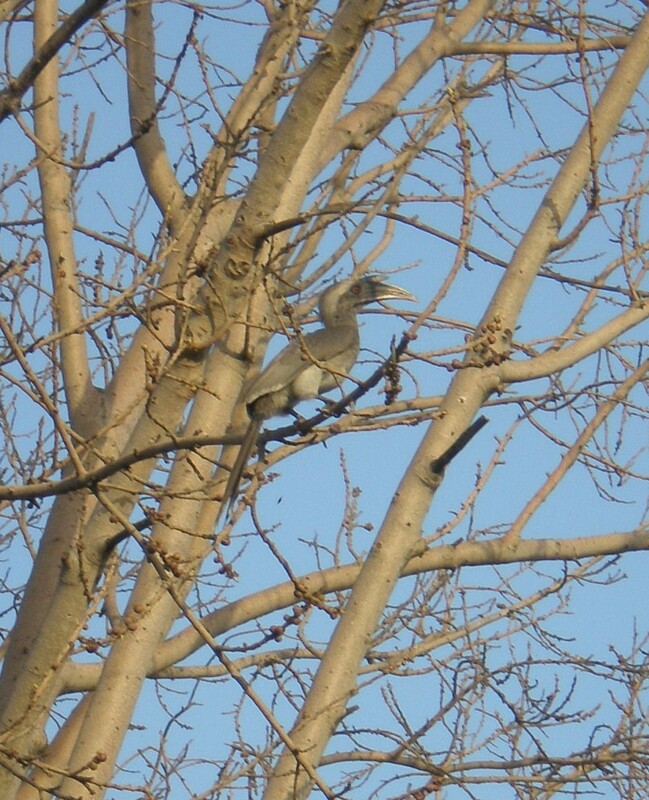 An Indian Grey Hornbill spotted on a tree in the Parking Lot of Delhi University Metro Station. Another of this bird was spotted at Akashvani (behind BJP’s headoffice) yesterday. Delhi has a rich bird-diversity. An article in HT, some two years ago claimed that Delhi has more than 450 species of birds. I’m still looking for the cutting, will upload as and when I can find it! Thanks to Vinod for identifying. Thanks also to Mr. Anand Arya, J Van Gruisen, Abhishekh for identification and complements and a special thanks to all those who have left a comment! PrevA Tribute to Delhi Metro! yes !! very much a grey horn bill. Hi. This is a hornbill for sure. Akashwani and nearby areas are home to quite some of them and other rare birds, probably because this still is the greenest region in Delhi. Have a dekko at my URL, these are taken near my home, Baba Kharak Singh Marg. I went to see my friend from Bangalore, who was visting Delhi, at one of the Star hotels. I was waiting in the hot summer under a couple of trees on the 8 Raisina road. I was looking up towards the sky with no particular reason. For a moment i realised that the bird i saw seemed like a Hornbill. The least i thought of was Delhi as a habitat for Hornbills. I had seen these birds in the Nilgirs, Kerala and Hyderabad but Delhi!!! least expected. I was just thrilled, just to learn that Delhi also has Hornbills. Thrilled and overjoyed…my evening was made. It added more life into meeting the friend. Indeed, the bird diversity in Delhi is way more than many imagine. In fact ,it is the second most bird diverse city in the World!! The Indian Grey Hornbill can be found all across the Ridge, in Central Delhi and a lot of them can be spotted together at Teen Murti Bhawan! I saw a pair today morning in AIIMS Campus South Delhi! I saw a grey hornbill at South Ex Market Part 2 toay at 5.30 pm. There’s a couple of them nested over a tree behind the Khan Market Metro Station!